The Gunpowder is high at 285cfs, 39 F and progressively more stained downstream from Falls road. The river is a different beast at these levels. Putting lots of weight onto your line is the way to go if nymphing, as the fish are sitting in deep water and will be sluggish. Zebra midges are working well. 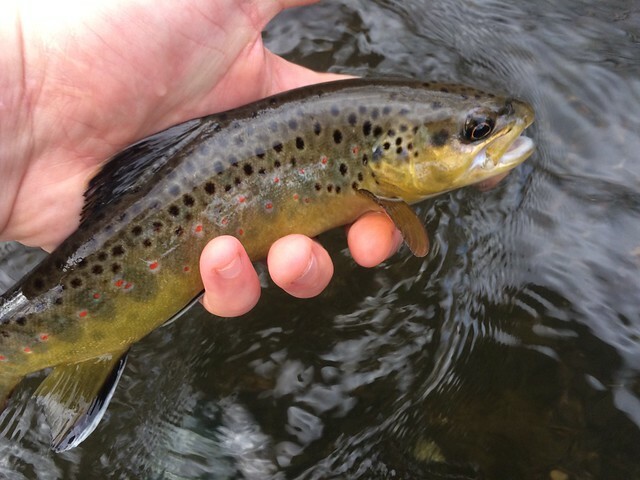 The issue is getting snagged more often as there is more debris washed into the river waiting to steal your fly. I think that these levels are great for streamers, sink tip lines make a huge difference in keeping your streamer in the strike zone. The best bet of finding a larger, hungry trout is in the tails of pools and against structures like log jams. Take special care when wading whilst the dam release remains as it is, I wouldn’t recommend crossing, and cleats will help keep your footing. 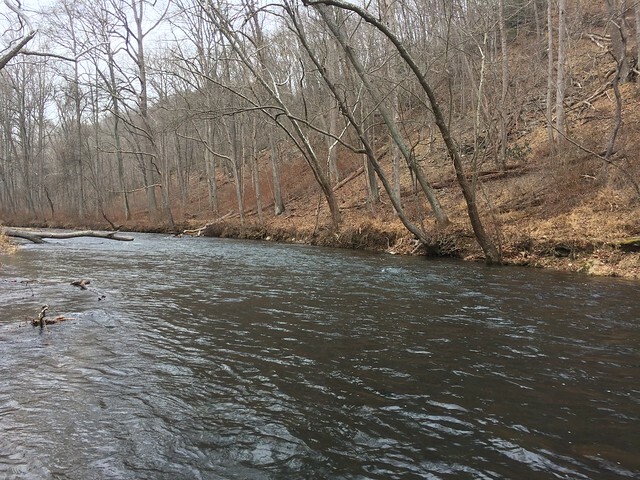 This entry was posted in fishing report on January 12, 2018 by Gene Howson. 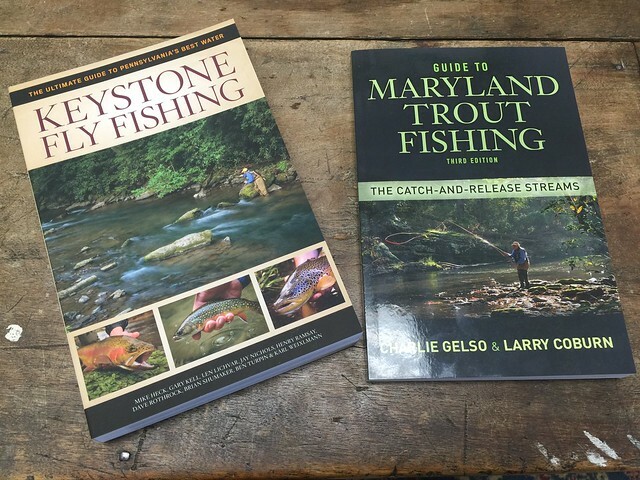 Ready for some winter reading? 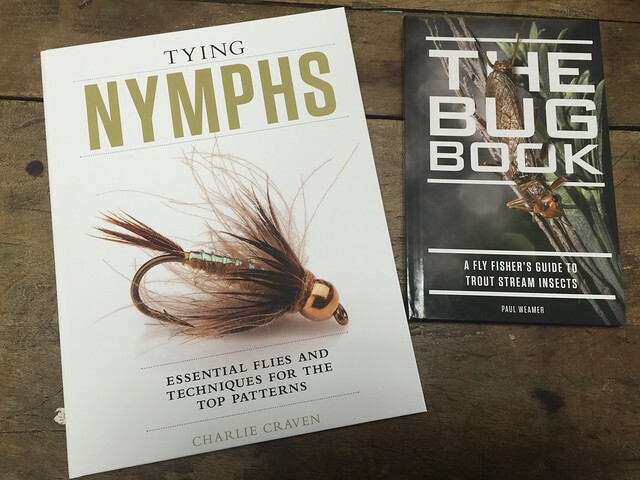 Keystone Fly Fishing and Maryland Trout Fishing provide a path for fly fishing exploration.Tying Nymphs by Craven and The Bug Book from Weamer are full of insights into fish trickery. This entry was posted in gear, reviews on January 9, 2018 by Theaux Le Gardeur. The Gunpowder is flowing at 230 cfs, 38 degrees farenheit and off color. Due to the freezing temperatures, fishing has not been easy. However, if you manage to stay warm and concentrate your fishing on days when the wind hasn’t been too harsh, the Gunpowder is producing. I fished New Years day and then Wednesday the 3rd. 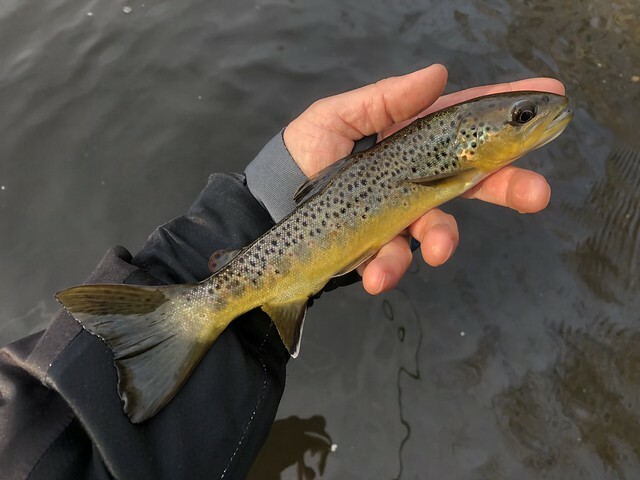 I caught several fish during a couple of hours on zebra midges on Monday when the water was clear, on Wednesday the water was stained and the flow was up to 195. Dead drifting woolly buggers picked up some nice wild fish. I had to work for them though and found them hugging the banks. Patagonia capilene underwear, gloves and shelled insulated pants make a huge difference to enjoying your outings during the winter months. With a break in this cold weather this coming week, the fishing should get better. 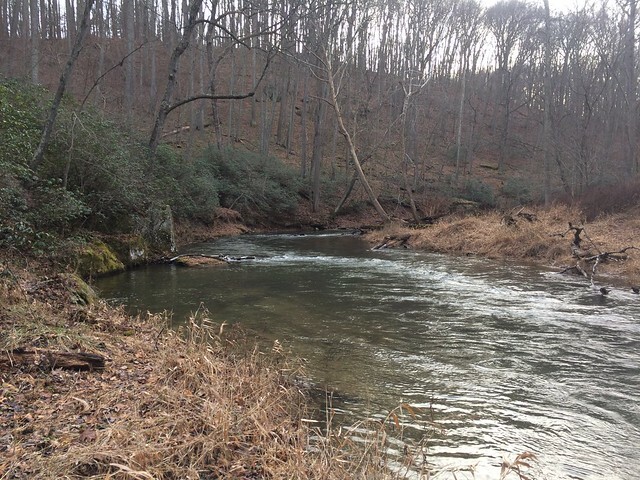 Fish will spread out in this higher volume of water and streamer fishing will work for those willing to put the time in. Czech nymphing is always an excellent way to search for fish when the water is stained like is it. Use caution when on the trails, put some cleats in your boots and avoid rocky areas if possible. Watch your step – broken bones are not fun, I can attest to that recently! 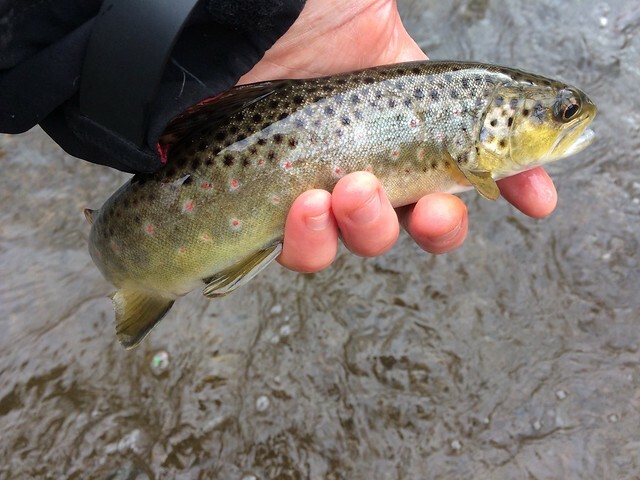 Thanks to Jim Czawlytko for catching this photo of this pretty brown with the giant tail. 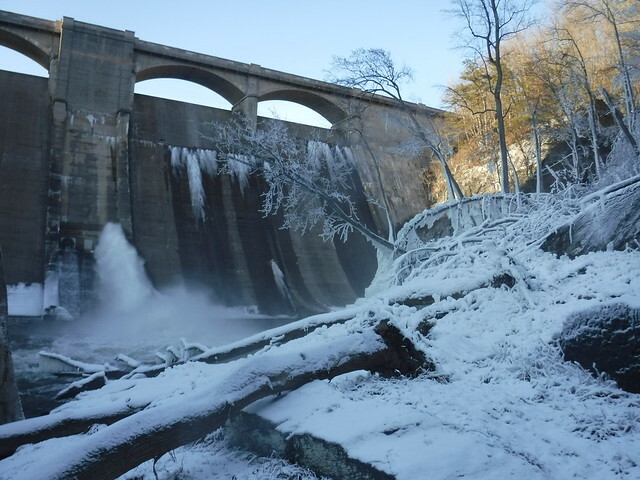 This entry was posted in fishing report on January 5, 2018 by Gene Howson. 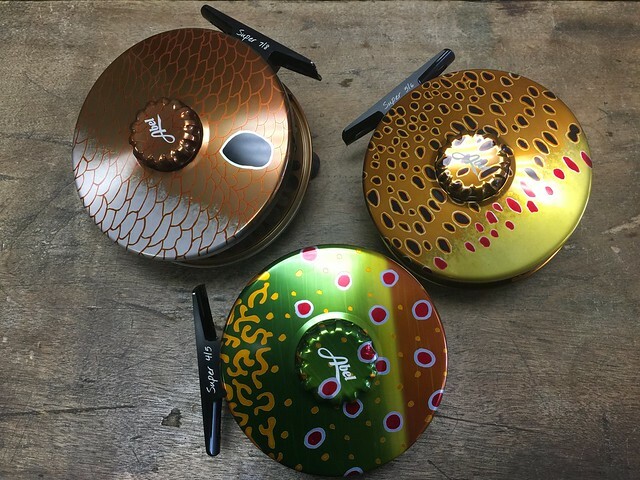 We have 3 beautifully finished, hand painted reels from Abel in store. We have a Brook Trout 4/5, a Brown trout 5/6 and a Redfish 7/8. The tried and tested cork drag system, along with the bomb proof design, balances excellently with Bamboo, or a 10 foot + rod. 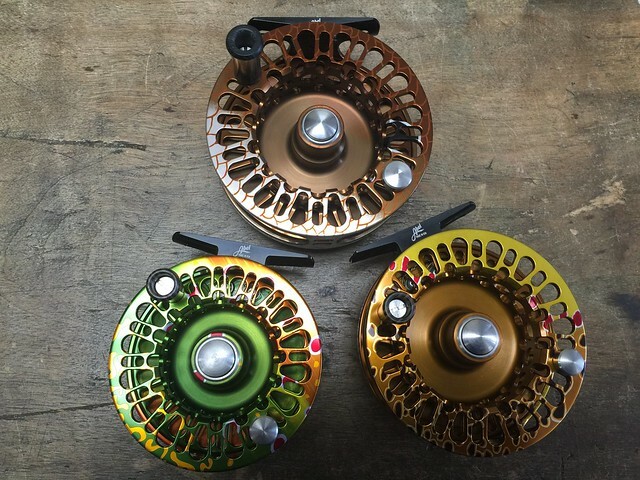 These slightly heavier reels offset the weight of the rod, reducing fatigue on your arm after a long days fishing. At the end of the day, they make everything look and feel right! The Brook Trout 4/5 is $995, is 5.92 oz and holds 80 yards of backing with a 5 wt line . The Brown Trout 5/6 is $1055, is 6.32 oz and holds 95 yards of backing with a 6 wt line. The Redfish 7/8 is $1045, is 6.74 oz and holds 200 yards of backing with a 8 wt line. This entry was posted in gear, news on January 1, 2018 by Theaux Le Gardeur.